Tickets Now Available for the 2019 Boise St. Jude Dream Home®Giveaway! On behalf of everyone at North Wind we are excited to share with you the opportunity to help in the fight against childhood cancer! 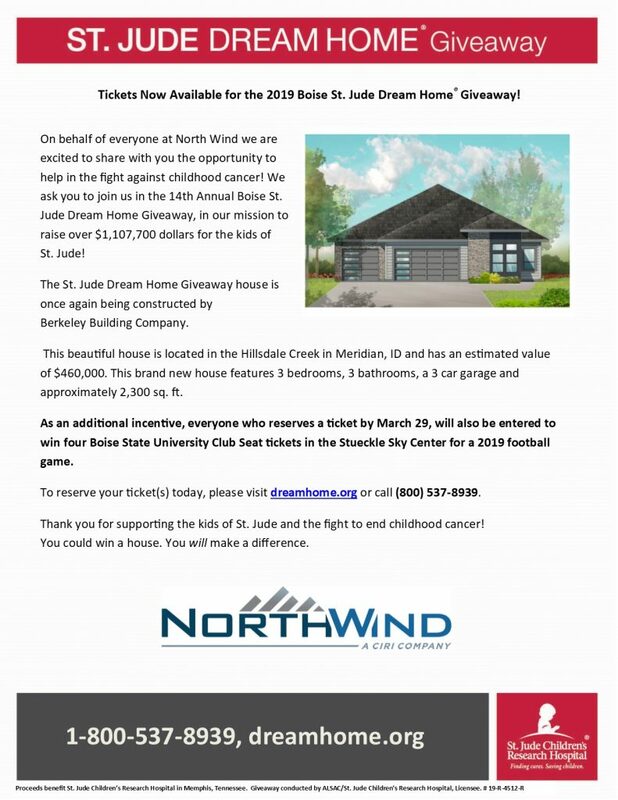 We ask you to join us in the 14th Annual Boise St. Jude Dream Home Giveaway, in our mission to raise over $1,107,700 dollars for the kids of St. Jude! To reserve your ticket(s) today, please visit dreamhome.org or call (800) 537-8939.